set-up and lower a vault safely and efficiently. By changing out the T-rails you can lower concrete vaults or metal vaults with ease and precision. Models are available stainless steel or painted. Bobkart Vault Dolly is built to last by people who use them. This piece of equipment will carry 3000 pounds up a 30 degree incline. All components are accessible with a full, removable tread plate deck and a heavy 140 pound Mig. welded frame. Mighty Mac Vault Handler manufactured by ACS is a compact piece of equipment that will give you many years of dependable service. 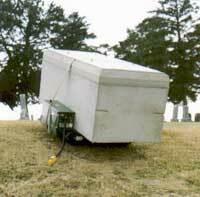 Concrete Vault Lid Placer is designed to lift lids out of the grave with a hand cranking mechanism. Skid Boards commonly called “Vault Ramps”. 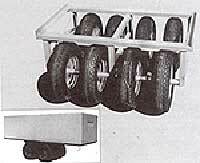 These boards are ideal to maneuver a vault dolly or other equipment on and off a truck. The outside shell is made of steel with inside reinforcements. 5 Bar Raised Tread (Tread Plate). Holes are punched in on one end (top) for added traction. 12’ x 10” sold as a pair. Be ready for the wet season. Don't tear up your lawns. DD1 for Large Vehicle Both Sides. TraxPlus forms a temporary roadway for your equipment. Whether you’re driving over a plush lawn or through a rain soaked field TraxPlus will get your equipment in and out without getting stuck and not so much as a footprint left behind. Smart Stick Vault Probes with slide adapter are our most popular probes. Minimize the time spent locating items and maximize your profits. The 3/8” steel rods used in our probes has been carefully selected. This steel provides the greatest durability and extended use. It resists bending (while remaining flexible) and keeps springing back to it original state longer than other steels. Both the handle and tips are threaded. The heat treated tips are designated to provide a small clearance hole for the shaft. Penetration and withdrawal is performed with ease since the full length of the shaft is not dragging against the ground. Probes are available in 42” and 72”. Standard 4’ Vault Probe is the most economical way to locate buried items. The 3/8" steel rods used in this probe has been carefully selected. The handle is a 3/4" T bar which provides additional weight and support for easier penetration. 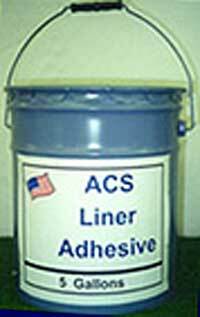 Vault Butyl Tape is available as a 1” half moon by 20’4” per roll, 5 rolls per case. Assorted Emblems – Make your vaults more attractive with decorative emblems and name plates. 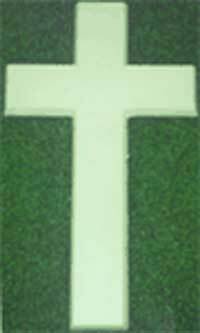 Emblems are made pf polystyrene in a matte finish, which is easier to paint. 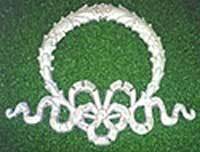 They are durable and constructed to cosmetically enhance the appearance of the vault lid.